�Twenty-year-old Anna Marie has just been fired for the third time � this time from a bakery. Why can�t she hold a job? Well, for starters, she dresses� differently. She looks like a goth girl to the extreme, her shock of white hair contrasting with her head to tow black garb, her face the only skin she chooses to reveal. But Anna Marie doesn�t have a choice. Her skin, her touch, is a deadly weapon that must be concealed. She accidently put her first boyfriend, Cody, in a coma when they kissed. Horrified, she ran away to Jackson, Mississippi. Now without any spoilers to the novel here is what I had to say after reading it. I consumed the first three chapters hungrily, excited to see what new perspective would happen next, but pretty quickly my interest in the book dissipated. As someone who has read anything I could ever find with Rogue in it cover to cover it seemed odd to me that I was struggling to complete a 273 page book. As of January 5th 2014 I finally managed to finish it and as I close the book I realized why my interest waned so severely� really� this isn�t Rogue�s story, this is Touch�s story. Much in the way that one could argue Red is the main character of The Shawshank Redemption so too was Rogue a main character of Rogue Touch, however ultimately the story is about Andy Dufrain, or in this case, Touch. 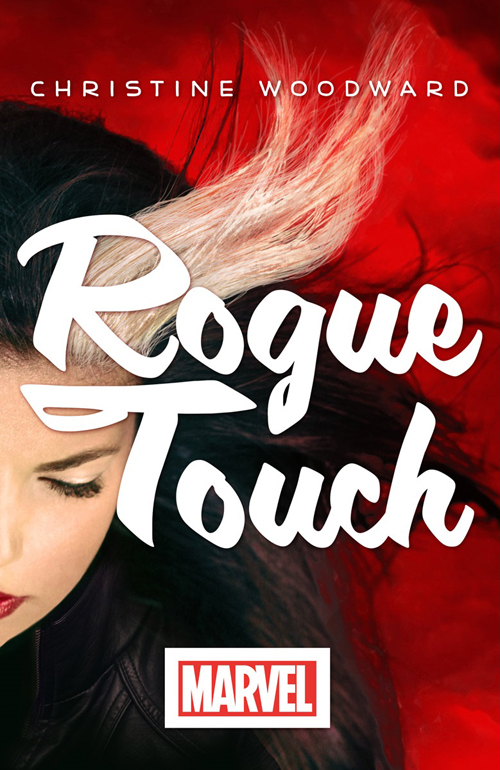 If you have not read Rogue Touch, and would not like any of it to be spoiled for you please stop reading here. 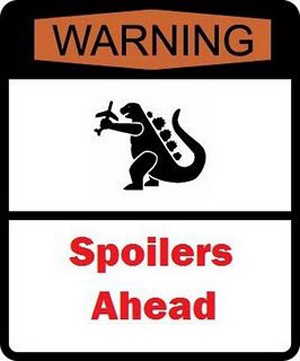 Warning � to all those continuing to read, this section will be filled with spoilers. I will be talking about various plot elements, characters and thensome, no holding back. You have been warned. SPOILERS ARE AHEAD. Ahem. Just in case it was not yet clear. I�ll begin by discussing what I felt were the highlights of the novel. As I mentioned above my favourite part concerns Rogue�s eyes. When we first meet Rogue Anna Marie in this novel she has already kissed Cody, put him in a coma and as a result had a shock of white appear in her hair. Then, not knowing for sure that it was her, afterwards she goes in a barn and finds a litter of kittens. Taking the smallest black kitten, the runt of the litter, in her hands, she pets him softly praying that he will be okay, and he seems to be. You get a momentary beat of happiness before she goes nose to nose with the kitten and as expected, drains the life from it. It�s heart wrenching and when she wakes up the southern belle who had always had brown eyes, now had green eyes, the same as that kitten. I thought this was a really interesting way to layer in Rogue�s appearance from the streak to the eyes. I also enjoy the thought that was put in to what she can absorb. Lately, and perhaps due to the movie version of Rogue, people forget that she doesn�t just absorb super powers, but personality traits, memories, skills etc. This aspect was well covered in the novel, and particularly concerning the introspective and tumultuous emotions that go along side with not only the guilt of hurting other people, but then having their lives and memories always in your mind. What?! There�s time travel you ask? Yeah. Exactly. I don�t understand why this was necessary. I don�t understand why the characters of Touch, Alabaster and King couldn�t have been other mutants opposed to time traveling humans. 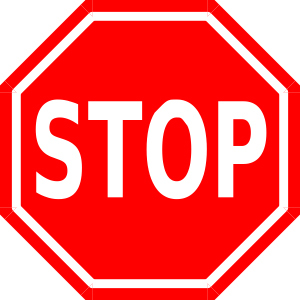 This cheapened the story for me as it began to fall into the same clich� stories we�ve read time and time again. To sum it up Touch comes from the future where his family is at war and has a secret weapon, a person with the same abilities as Rogue and then he dies. So Touch goes back in time to bring Rogue to the future as a weapon, but falls in love with her and then in the end can�t do it and ends up sending her back to her time, but not before they get freaky on the astral plane. The end. No seriously. That�s pretty much the entire story. Maybe I�m being a bit harsh, but it was these �time travel� elements that made the writing feel lazy. Down to the fact they had a magic screw driver (Dr. Who anyone?) to jam into ATM�s and magically produce money. Any time there was an issue, we are lucky that Touch is a genius inventor from the future and has a glowing ball that can do whatever we need to be done. Seriously. This is how things happen. As the story goes on it is pretty much all about Touch. Finding out who he is, where is from and reading about Rogue�s love for him. Granted, it�s kind of a cute love story� well until you find out that he�s married. A happily married man with a son who came 10,000 years from the future to bring her back as a weapon, but of course when he meets her he falls in love with Rogue Anna Marie. Of course he does. Also let�s get around to that too shall we the name change from Anna Marie to Rogue. So in the comics for the longest time Rogue was known only as Rogue. I miss this time, I�ve never been fond of the name Anna Marie, but either way in the 2004 story arc of Going Rogue it was established that now this was her original name. To that end, Rogue has been the name she�s chosen just like many others choose to not go by their given name. As was stated on the back of the cover, James or rather Touch christens Rogue with this name. When we first read this scene it is almost endearing. He says that Anna Marie just doesn�t suit her and eventually comes back to her giving her the name Rogue for the Rogue gene that makes her so unique. Then of course later after we time travel we learn that Rogue was basically the equivalent the name of the operation to retrieve her. How very romantic. It almost felt like a cheap rip off of the etymology for Logan becoming Wolverine. The icing on the cake for me personally had to be the ending. It was boring and dull and I found myself thinking �Really?�. As I briefly mentioned above ultimately Touch cannot go through with having Rogue in the future as a weapon so he sends her back to her own time. (Again, of course they manage to pause and hang out in the astral plane and do the no pants dance while their bodies are being transported over 10,000 years) He also drops off his son because apparently despite the fact that his wife loves their son, Touch no longer agrees with her ideals so it is better to send your son 10,000 years in the past to a woman you�ve known less than a few weeks. (Who also ultimately decides cause of her condition she can�t raise kids, so she�ll drop him off without a word to Cody�s parents. Because you know this totally makes it even for putting Cody in a permanent coma�) Then Rogue decides out of all the powers and skills she�s absorbed the one she can make a living off of is cake decorating and lives a boring almost Stepfordian life by the sea waiting for Touch. I�m not even kidding you. This is a quote directly from the last page of the book. First of all, you have no idea if your married boyfriend from 10,000 years in the future is coming back, but JUST IN CASE he is, you have to be a good person. Not because, you know, it�s the right thing to do, but because this guy you�ve barely known three weeks might come back. I don�t understand why the war happening in the future couldn�t have been a war between the thieves and assassins guilds in the Bayou. Then Rogue, on the run from her problems in Mississippi could end up in an area, get tangled in the �wrong� crowds. This sets it up for Remy, Belladonna and other mutants to be a part of the story if they are trying to keep it away from the X-Men specifically. We still could have the same cute love story and there is no need for time travel or glowing orbs that function however you need them too. It could have kept the story more grounded and real and connected better with the reader. To me this novel was a great idea in theory, but lacked proper execution, just like the character of Rogue in the X-Men movies. For some reason current publications of Rogue consistently forget about the vibrant, fiery southern belle we grew up with in the cartoon and comics - the woman who was strong, independent, and made difficult choices sometimes for better and sometimes for worse. She was a character to be idolized. Lately it seems all that is focused on is Rogue�s loneliness and her inability to get jiggy with it. Now please don�t misunderstand me, Rogue�s loneliness and desire for human contact and love is a huge part of her story, but it�s not the only part of it. Sure Rogue has fluctuated from villain to hero and made poor decisions, but it always came from a place of survival and instinct, not a blatant need to be loved by one individual no matter what. Rogue has proved by ending several relationships and her constant run away attitude that freedom and justice are just as important in her life as love. They released a She-Hulk novel around the same time titled The She-Hulk Diaries. It�s a different author so I don�t know if it will be of the same elk but both Rogue Touch and She-Hulk novel can be purchased on Amazon. With my experience thus far with Marvel novels, I think I may stick to the graphic kind.